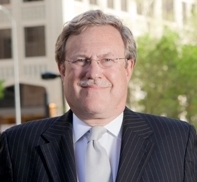 Graydon D. Luthey, Jr. has been awarded the Business Litigation Lawyer of the Year – Oklahoma in the 2015 M&A Awards. The Corporate LiveWire Awards represent the pinnacle of business achievement, championing the best in their respective fields. Mergers and Acquisitions are usually an essential part of growing a successful business, but they are one of the most complex processes to undertake, and require the guidance of individuals who are specialists in their area.The award is designed to pay tribute to and commend all those who have excelled in performance within the M&A industry. Winners have consistently proved to exceed industry standards and provide excellent advisory services, helping companies to navigate the challenges they face when undergoing these processes. All winners of the International M&A awards are subject to the same rigorous assessment criteria, carried out by experienced in-house professionals. This ensures that only the most deserving firms and individuals walk away with one of these prestigious accolades and gain a place in our soon-to-be published awards winners’ guide, which will be distributed to over 400,000 M&A professionals. Nominations were accepted globally for individuals, teams and companies working in all spectrums of M&A.